If building a successful brand is all about solid fundamentals, execution, and consistency, why doesn't every franchise do it? "Why doesn't everyone win the Super Bowl?" asks Phil Friedman, president and CEO, who co-led a 1999 buyout of the company. When Friedman and a partner bought McAlister's, they liked the brand and direction of the company and saw no reason to change. Instead, they focused on solidifying the basic building blocks: training, franchise support, and marketing. "If the fundamentals are great, then you can do more," he says. "First you must have the philosophy of building a brand. If you look at it as [just] a business, your philosophy could be to expand as fast as possible and get into as many markets as possible." That doesn't work - at least not for Friedman, who views brand-building and expansion more as a marathon than a sprint. "We're trying to do the basics first, execution of the concept. So pace - how fast we're doing it - becomes part of the brand," he says. "We will try to expand concentrically outward, but not leapfrog across the country. If someone calls from California, we'll talk to them in two years. It's intoxicating to say I can franchise this or franchise that. Hawaii is a little far down the road." Going 15-for-15 in profitable years, McAlister's is definitely expanding: 2003 sales of $126.7 million were up 26.7% from 2002. For 2004 the company is projecting $170 million in revenue and 35 new restaurants, many in new markets in Florida and Texas. Area development is a key component for Friedman in growing the brand. "It's so important in franchising. It gets the franchisee in the mode of building an organization in their area from the very beginning. As they build their own company they'll be hiring people who will grow with them," he says. While today's down economy helps franchising overall, for Friedman brand positioning is a constant. What doesn't work is to change your positioning as the economy changes. "That's not understanding what your brand is. 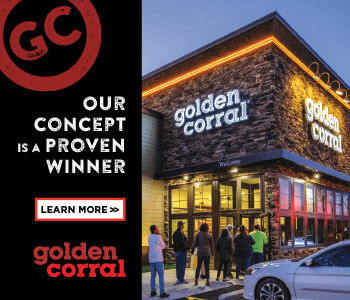 We have a very high-frequency concept, so if we do a great job people come back and tell their friends," says Friedman, who places McAlister's between Wendy's and Chili's in terms of price, food, and service. "If you deliver the 'McAlister's touch' - a little bit of service, a little bit of friendliness, satisfied customers develop a loyalty to the brand and spread the brand," he says. "In every retail experience it's one transaction, one customer a day. It's all cliches, but they're tried and true over time."